Grades 2-8 (20 students per class maximum, 12 students minimum required to book). Price is per student for 4 one-hour classes; select number of students at checkout. 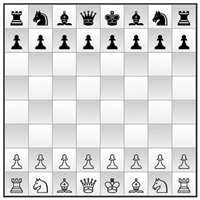 Four days of fun learning chess basics; each day focuses on a different individual piece. Series culminates with a mini-tournament & prizes! (for after school program, days can occur over a four-week period). Grades 1-8, up to 20 students/class. * A range of fun sound and light related activities. We provide a solid theoretical understanding of how both light and sound are waves and travel in a straight line until they are absorbed, redirected, reflected or allowed to pass through an object. Grades K-8, up to 24 students/class (maximum). A range of fun weather-related learning activities held in your classroom. Hands-on weather class resulting in each student engaging in four different weather related activities. We provide a solid theoretical understanding of both the water cycle and wind, explaining their roles in our earth weather ecosystem. Grades K-8, up to 24 students/class (maximum). A range of fun dinosaur related learning activities. 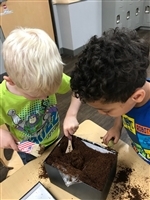 Hands-on dinosaur class resulting in each student engaging in 4 different dinosaur related activities, including a mini-paleontology dig. We provide a solid theoretical understanding of types of dinosaurs and their role in this ecosystem of the past. Grades 1-8, up to 24 students/class (maximum). A range of fun sound and light related activities. We provide a solid theoretical understanding of how both light and sound are waves and travel in a straight line until they are absorbed, redirected, reflected or allowed to pass through an object.